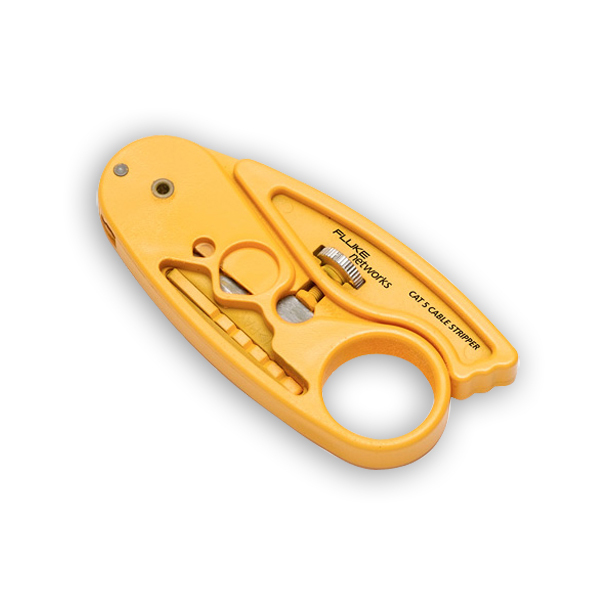 - Coax Blade Cassette is Removable to Adjust Stripping Depth of Both Blades with Hex Key Included. 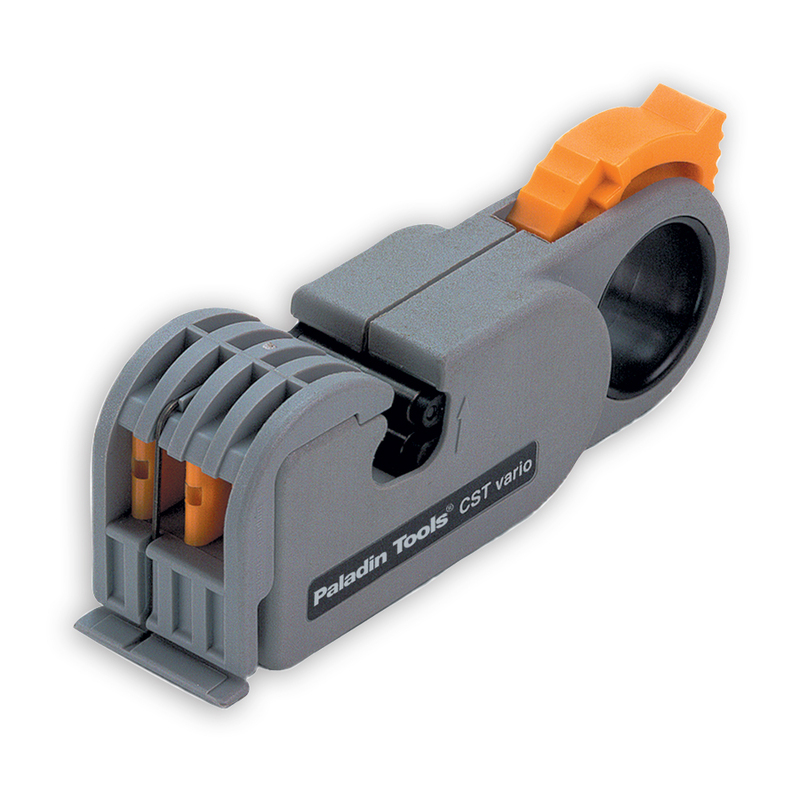 Adjustable-blade coaxial cable stripper for cable diameters of 0.1 - 0.315" (2.5 - 8.0 mm) including RG58, RG59, RG62 & Belden 1505A. Strips outer jacket, shield braid, and inner insulation down to center conductor. - Most Flexible Coax Stripping Tool on the Market! 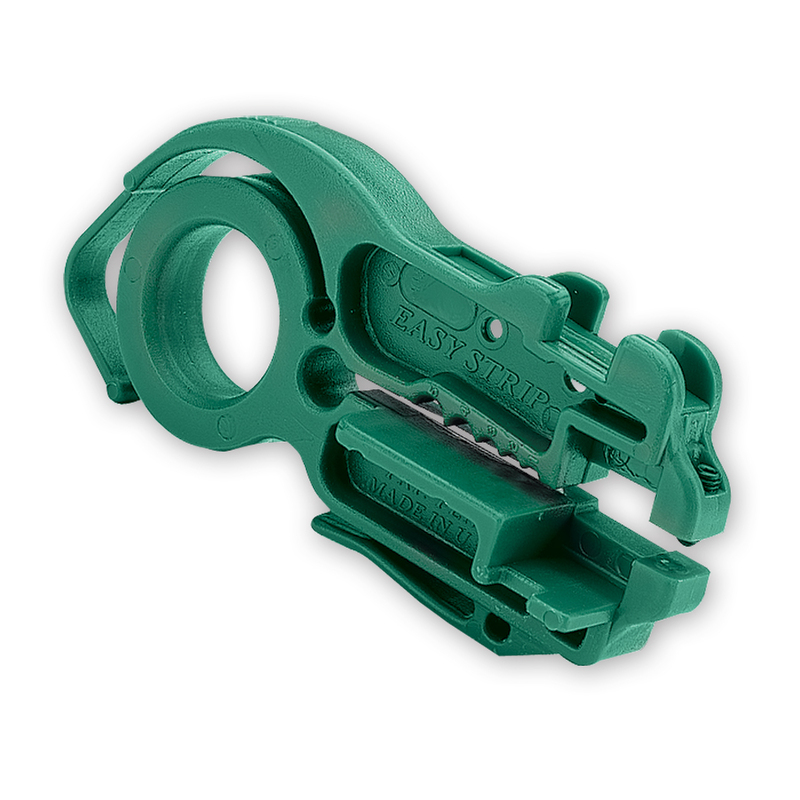 - Minimum Center-to-Center Strip Length is 0.13"
- Maximum Total Strip Length is 0.67"
2- & 3-level adjustable stripper for RG58, RG59, RG62AU & RG6 coaxial cable. 2-level stripper for RG59, RG6 & RG6 Quad coaxial cables. Pre-set for RG6 CATV "F" connectors. Pre-set Strip Lengths: Outer Jacket = .236"
- Blade Swivels for Circular, Longitudinal & Spiral Cuts - Great Tool for Window Slits! The original tool for slitting cable insulation from PVC, Teflon & THHN insulations. (Note: Not for polyethylene, polypropylene or XLP insulations). "AllPrep Cable Preparation Tool provides a simple and effective method of preparing both coaxial and twisted pair cable for termination. 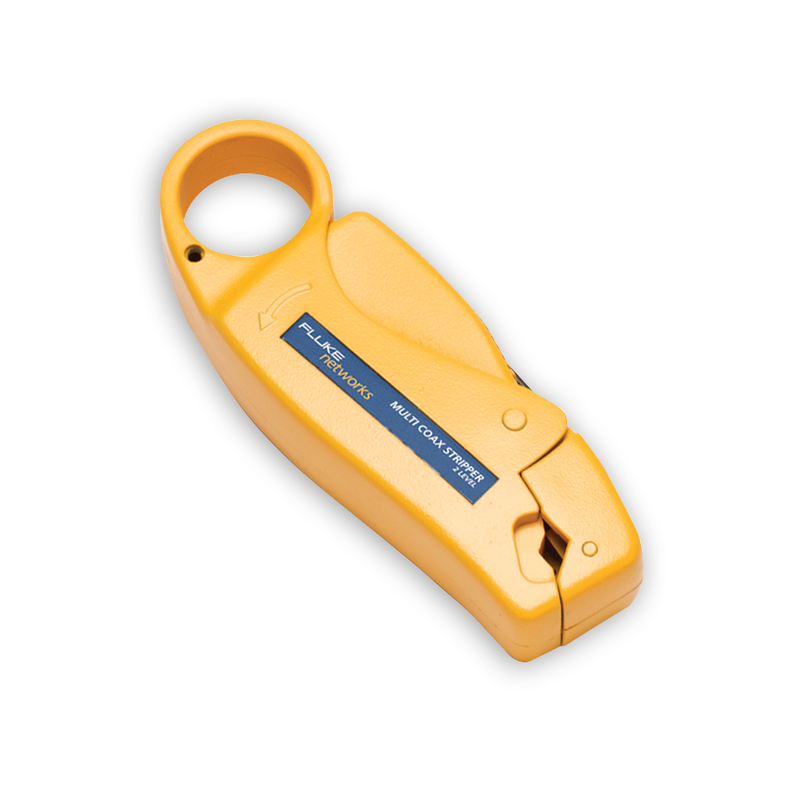 The tool features two reliable, color-coded dies that are interchangeable for each media type. The coaxial die strips RG59 and RG6 coaxial cable and the twisted-pair die strips a wide variety of UTP, ScTP and fiber cables." AllPrep Cable Preparation Tool provides a simple and effective method of preparing both coaxial and twisted pair cable for termination. The tool features two reliable, color-coded dies that are interchangeable for each media type. The coaxial die strips RG59 and RG6 coaxial cable and the twisted-pair die strips a wide variety of UTP, ScTP and fiber cables. 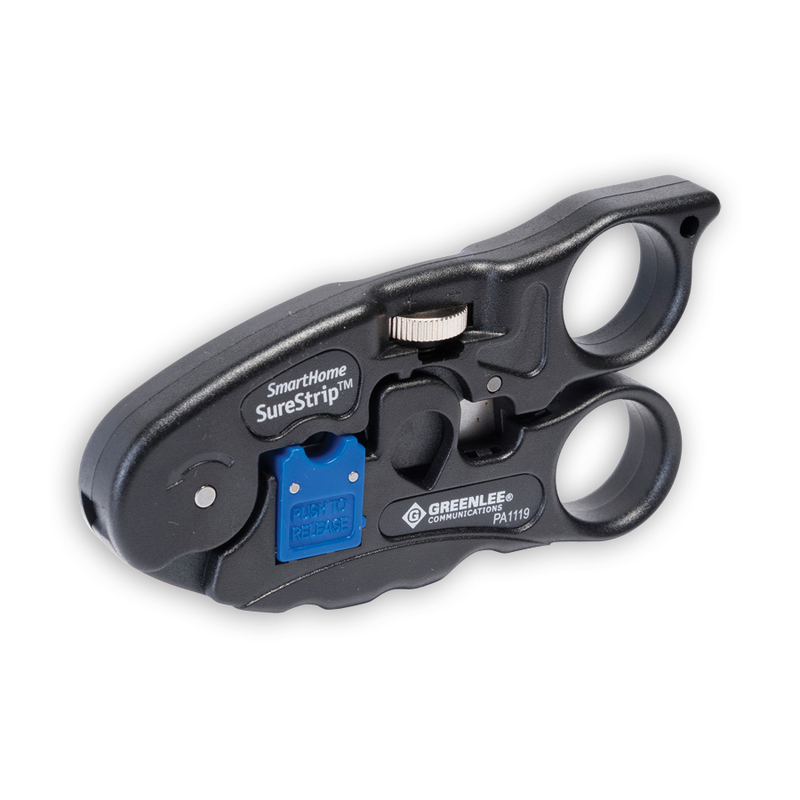 "The CPT-WEB is designed to easily strip the outer cable jacket, flatten, and separate the webbed conductors of Siemon’s category 5 cross-connect jumper wire and other UTP cable with webbed conductor pairs. " "The CPT provides a simple and effective method to remove the outer cable jacket from2-, 3-, or 4 pair cables without damaging the inner conductor insulation. 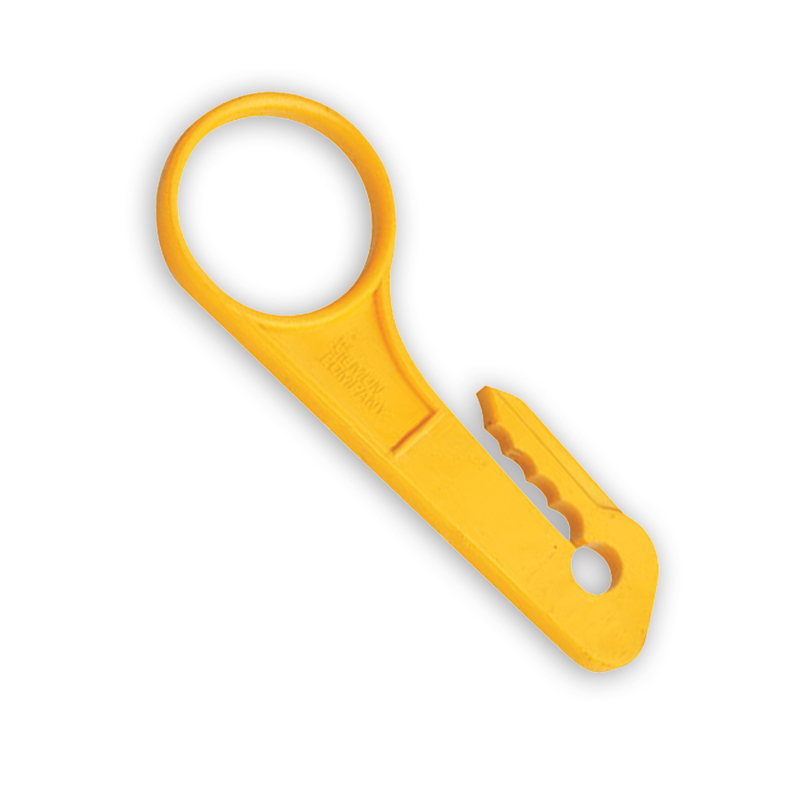 The CPT is recommended for use with any round cable with an exterior diameter from 2.54-6.35mm(0.100-0.250in.) And an outer jacket thickness from 0.380-0.635mm(0.015-0.25in"
- Blade Depth Adjustment for Precise Cutting Depth. - Blade Penetration Controlled by Tension Loop. 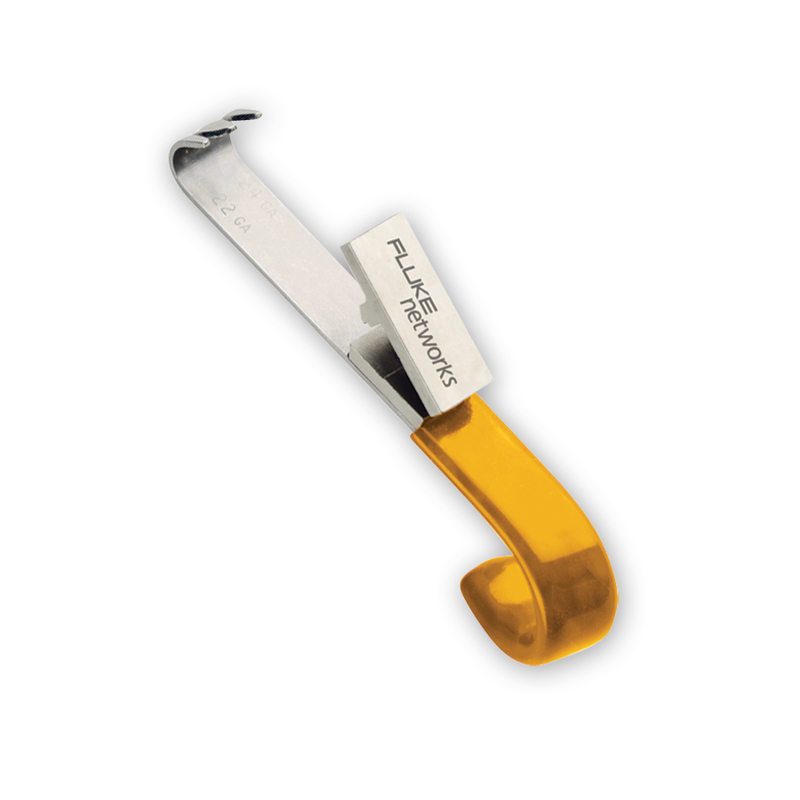 The Coax Stripper has a built-in Allen wrench for adjusting the blade to prevent damage to the cable. The Stripper is spring-loaded for ease of use and economical for 2-level and 3-level stripping for RG58/RG59 and 62AU coax cable. Economical, calibratable, tough tool cutter. 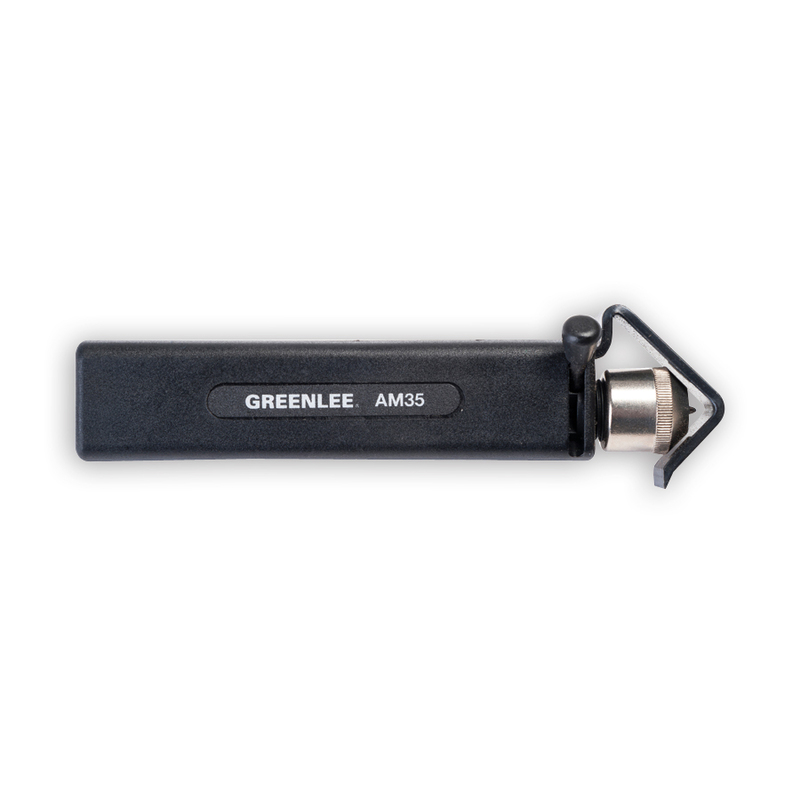 Adjustable blade depth prevents damage to shield and conductors. "Scores" cable to prevent knicking wire when stripping. 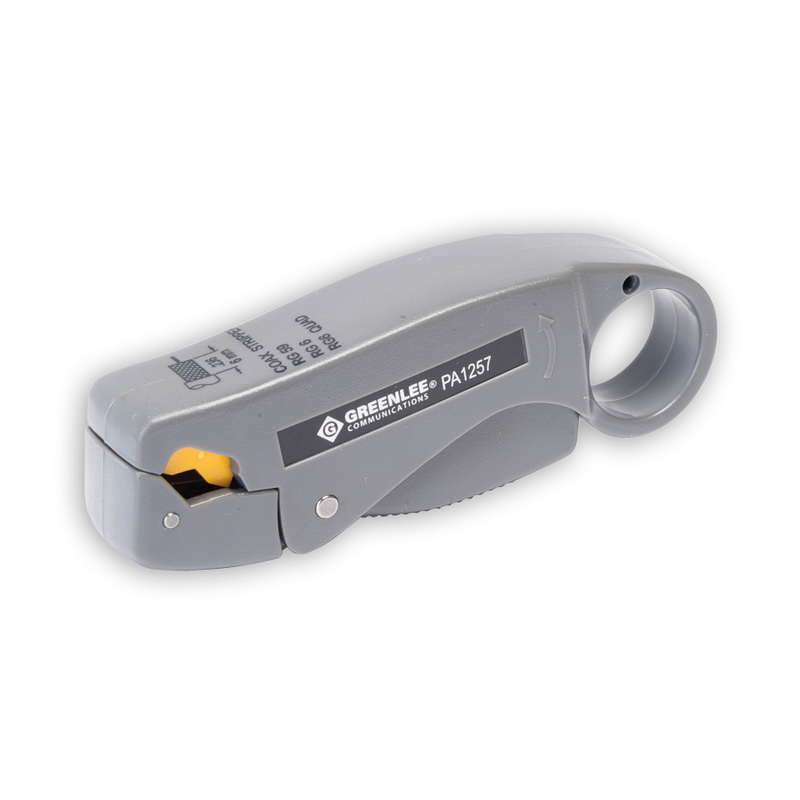 A length gauge for repeated cutting/stripping ensure accuracy. Cuts Round cable up to 12 AWG. 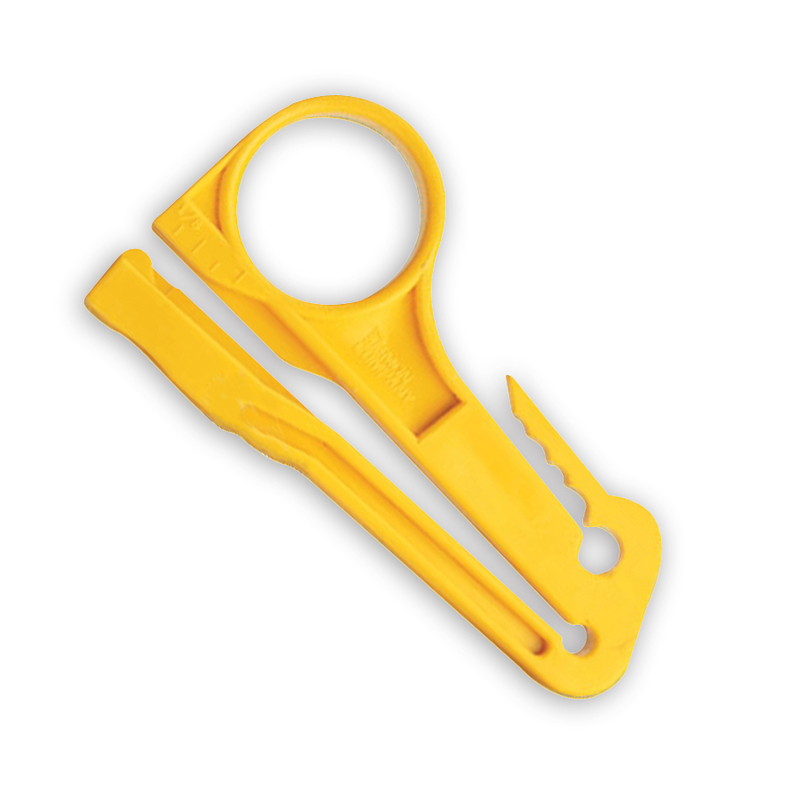 here are a variety of wire strippers to fit your every need. These strippers assure quick, effortless stripping of wire/cable insulation without nicking or scratching the conductor. Each stripper is made of durable stainless steel. The curved handle is designed to fit comfortably in your hand, and is cushioned with a soft vinyl covering. 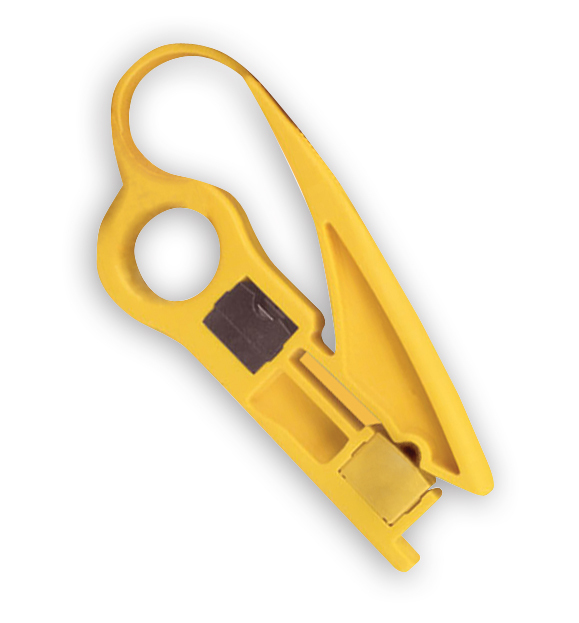 The PVC frame wire stripper cuts, grips, and removes a 1-3/4 inch measured length of insulation from 22 gauge wire wrap irradiated PVC frame wire. A gripper plate allows for easy holding of PVC material.